CUBS UPDATE: We met this afternoon with Chicago Cubs chairman Tom Ricketts and VP of Communications Julian Green at the CAIR-Chicagooffice to discuss the ramifications of the leaked anti-Muslim emails, how it affected the Muslim community, the fanbase, and the city - as well as how we can move forward. Council of Islamic Organizations of Greater Chicago and IL Muslim Civic Coalition joined the meeting - as well as Dr Kamran Hussain, Cubs superfan and President of MCC, a mosque that is in close proximity to Wrigley Field. We began by setting the context of the meeting, playing an audio sample of the dozens of hate messages we received that typically contained accusations of Muslims being foreign and threatening, and personal stories of Islamophobia from our case loads explaining how tired old narratives like the ones invoked in the leaked emails tend to be fuel for these prejudiced messages and acts. We explained that we are here to find a way forward beyond the apology, which was appreciated. Dr Dilara Alim Sayeed, chairwoman of the IL Muslim Civic Coalition followed up with sharing her experience growing up as a Cubs fan and then laying out a snapshot of the American Muslim community's legacy. Gregory Abdullah Mitchell, Executive Director of CIOGC followed by zooming into a snapshot of the Chicago Muslim community's tapestry while sharing personal stories from his daughter's life growing up visibly Muslim in America. Both emphasized the reality of Muslims in America, as juxtaposed with the false narratives that feed the erasure, demonization and exclusion. Asha Johaan Binbek, CAIR-Chicago's communications coordinator shared her feelings of disappointment as a loyal Cubs fan and explained how she felt rejected by a family she thought she was part of and who had been a critical factor in the Cubs historical World Series success. Dr Kamran Hussain, Cubs season ticket holder for many years spoke of his passion for the team, his colorful history as a supporter, and how his personal mood can often be attached to the Cubs fortunes, and how he now felt blocked out by a franchise that he felt decidedly a part of. We took it back and explained that for us, this is not about soliciting validation or demanding penance, but about using a very negative and hurtful opportunity in spurring an honest conversation about the scourge of Islamophobia AND staking a clear way forward to address that together through a series of "concrete steps" that we then spelled out. Steps that would regain the trust and sense of belonging of Muslim fans and community members at large, as well as that of all those who are committed to values of "Everybody in" who had lost trust. Steps that can combat Islamophobia in ways that are genuine, meaningful, and visible. Tom and Julian listened attentively throughout, Tom started off by reiterating his apology on behalf of the franchise, and followed up after we had spoken by emphasizing how he is fully appreciative of what he heard and that for him the Cubs Franchise recognizes how its principles were undermined, despite Joe's currently not being a part of the organization. He committed to the concrete steps, adding that he too had not wanted actions that were token or cliche but meaningful and heartfelt. There was much spirited discussion throughout, and the bottom line is that we are at a table, but also on the same wavelength, committed to working together positively to emerge stronger as a community, a franchise, and a city. We will in the next few days release a joint press statement announcing those concrete steps once we meet with Julian in a follow up meeting. 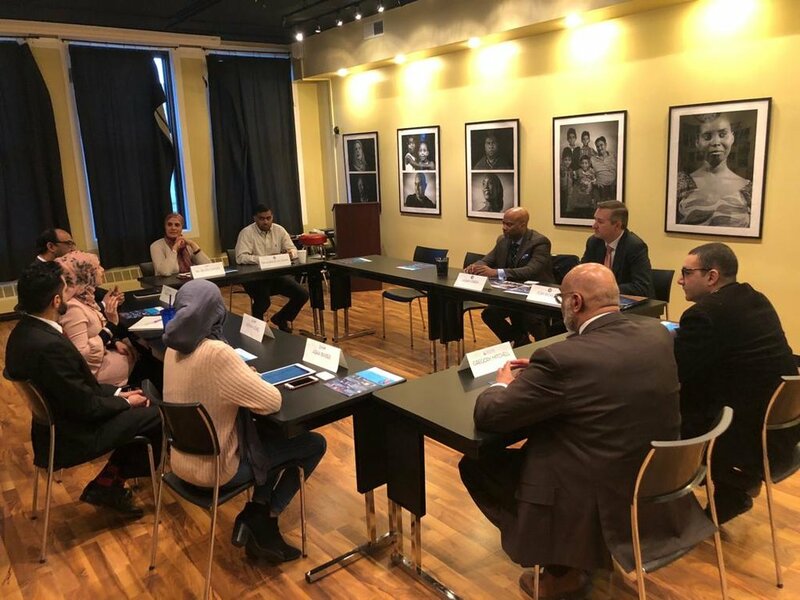 Also present were Irshad Khan, CIOGC President, Reema SK, IL Civic Coalition Executive Director, and Sufyan Sohel, CAIR-Chicago Deputy Director and Counsel.